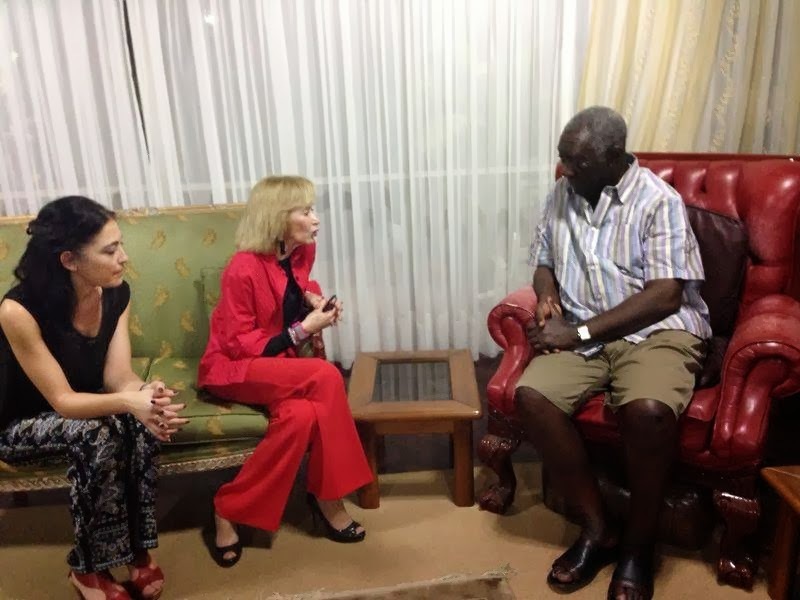 February 2014: With President of Women for Africa Foundation, Ms. Maria Teresa Fernández de la Vega, and President of Kufuor Foundation, Mr. John A. Kufuor. Mr. Kufuor is the former President of Ghana and serves currently as Director of the World Bank Programme: Water and Sanitation for All. He is also one of the United Nations Secretary General's Special Envoy for Climate Change and Envoy for Neglected Tropical Diseases. It was a very interesting meeting where both Presidents committed to work together within the framework of the Foundations they both chair. We also met the Director of Kufuor Foundation and we are already examining concrete projects we can implement together.